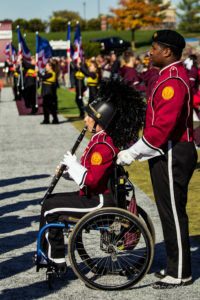 Using a wheelchair did not stop Gaia Herrick from taking the field in the Central Michigan University Marching Band. 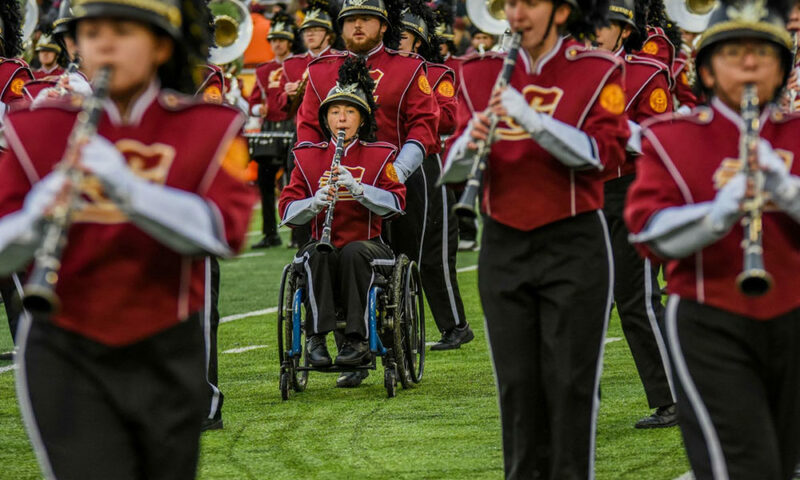 Central Michigan University junior Gaia Herrick isn’t your typical marcher. Diagnosed with muscular dystrophy when she was 10 years old, Herrick can’t roll her toes or stand up straight while marching. 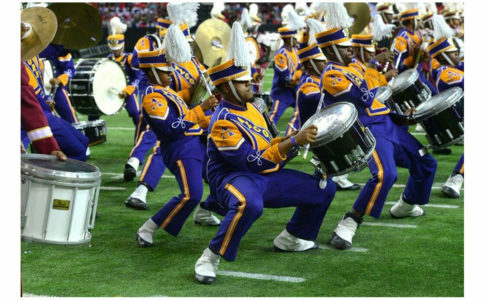 Those challenges haven’t stopped her from pursuing her passion for marching band. Herrick transferred to CMU this year as a junior and plays the clarinet in CMU’s 250-member Chippewa Marching Band. With 11 years of performance experience, Herrick says she always had a passion for marching band. In her high school band, she sat in her chair while the band made formations around her. 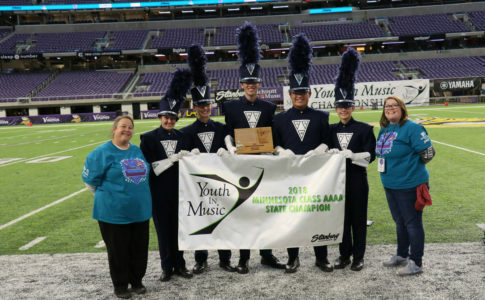 Chippewa Marching Band Director Dr. James Batcheller took Herrick’s participation a step further. Instead of having the band making formations around Herrick, he decided that she should move with the formations. While maintaining proper marching technique, a reserve performer pushes Herrick to her spots as she performs. Since a wheelchair can be difficult to maneuver through rain and mud and hard to turn on a dime, the band wrote specific drills to account for Herrick and the reserve. Photos courtesy of Mary Lewandowski and Tony McCrackin. All rights reserved.